To have a successful career as a DJ in the entertainment industry means that one needs to have a mastery of sounds and understand how music works technically, having a good ear for sounds will definitely go a long way in a career like this and Bassnectar, with the level of success he has achieved so far can rightly be said to possess these qualities. Today, he is one of the most the highly recognized DJs in the music industry. We explore his life and career journey thus far as well as some facts worth knowing about the American DJ. The DJ Bassnectar was born Lorin Ashton on the 16th of February, 1978. He was born in Santa Cruz California and spent most of his childhood in the San Francisco Bay Area. Not a lot is known of his parents or if he has any siblings. The same applies for his high school, but it was while he was a teenager that he started to have an affinity for music. It has been reported that his interest in music was piqued after an uncle gave him Latin and African music to listen to. By the time he was 16, he was part of a Metal band called Pale Existence. His performing with the band exposed him to a diverse collection of musicians and their music genres; the musicians happened to be very welcoming of the young Lorin. While he was part of the band, Lorin began to buy records and trained himself on how to Disc Jockey with these records. His fame started to grow and word about his skill was spreading and by the mid 90’s he was going by the stage name DJ Lorin and was playing at small house parties and performing at small shows in his area. When it was time for him to get a degree, Lorin Ashton decided that earning a degree in Electronic music would be a wise step in his music endeavors. So in 1996, he went to the University of California, where he majored in Community Studies and minored in Electronic music. The biggest boost to Bassnectar’s career as a rising DJ was playing at the annual concert Burning Man, which takes place in the Black Rock Desert. During the concert in 2000, he sometimes played 7 sets a night, with this, his fan base increased and his music was noticed by people who matter in the music industry. One of such people was Perry Farrell, the lead singer of the band Jane’s Addiction and is known for starting the music festival Lollapalooza. 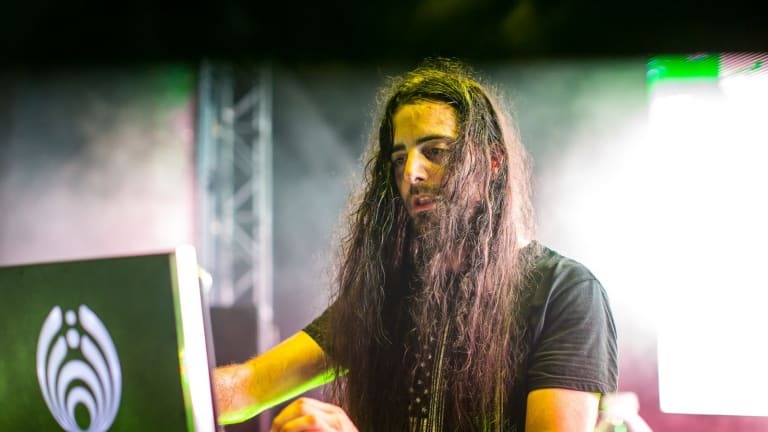 Perry Farrell employed Lorin to work on the album, Spearhead and just like that, all the years Bassnectar had spent honing his craft as a musician started to pay off. Lorin Ashton has since created more than five albums, eight EPs and has worked with other artists on their music. He has had a career that can boast of tremendous success. Bassnectar’s net worth is currently estimated to be $26 million. He has garnered this from his album sales but more importantly the ticket sales he gets from his many concerts. Should he keep up at his current pace, big brands would come seeking endorsement deals which will greatly boost his earnings. • Bassnectar’s major in Community Studies stemmed from his desire to be an educator, but he realized that playing and creating music as well as being a DJ is his true calling. He has described being a DJ as “sharing a song with someone else”. • Bassnectar decided to take up his current stage name after meeting with a DJ who gave him a sticker. The sticker read “Butterfly Beings Drink Bass Nectar”. This prompted him to call himself the name he currently goes by which is somewhat befitting as he makes sweet music. • The DJ has a huge following on social media, where most of his fans, who call themselves the bassheads, congregate to keep up with his shows and watch videos of his performance. His fans have been described as being cult-like as they not only listen to him for his music but are eager to hear the thoughts he has on matters of life. • In 2013, Bassnectar competed in the 2013 version of America’s Best DJ. He, however, did not come first or make the cut of the top three as he took the fourth position. • Lorin Ashton has decided to take a break from touring and attending festivals, this decision came in after the festival Deja Voom he hosted in 2019.